We construct the holographic dictionary for both running and constant dilaton solutions of the two dimensional Einstein-Maxwell-Dilaton theory that is obtained by a circle reduction from Einstein-Hilbert gravity with negative cosmological constant in three dimensions. This specific model ensures that the dual theory has a well defined ultraviolet completion in terms of a two dimensional conformal field theory, but our results apply qualitatively to a wider class of two dimensional dilaton gravity theories. For each type of solutions we perform holographic renormalization, compute the exact renormalized one-point functions in the presence of arbitrary sources, and derive the asymptotic symmetries and the corresponding conserved charges. In both cases we find that the scalar operator dual to the dilaton plays a crucial role in the description of the dynamics. Its source gives rise to a matter conformal anomaly for the running dilaton solutions, while its expectation value is the only non trivial observable for constant dilaton solutions. The role of this operator has been largely overlooked in the literature. We further show that the only non trivial conserved charges for running dilaton solutions are the mass and the electric charge, while for constant dilaton solutions only the electric charge is non zero. However, by uplifting the solutions to three dimensions we show that constant dilaton solutions can support non trivial extended symmetry algebras, including the one found by Compère, Song and Strominger , in agreement with the results of Castro and Song . Finally, we demonstrate that any solution of this specific dilaton gravity model can be uplifted to a family of asymptotically AdS2 × S 2 or conformally AdS2 × S 2 solutions of the STU model in four dimensions, including non extremal black holes. The four dimensional solutions obtained by uplifting the running dilaton solutions coincide with the so called ‘subtracted geometries’, while those obtained from the uplift of the constant dilaton ones are new. 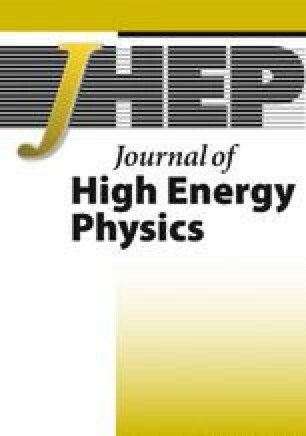 An erratum to this article is available at https://doi.org/10.1007/JHEP01(2017)120. J. Maldacena, D. Stanford and Z. Yang, Conformal symmetry and its breaking in two dimensional Nearly Anti-de-Sitter space, arXiv:1606.01857 [INSPIRE]. A. Kitaev, A simple model of quantum holography, talks given at KITP, April 7 and May 27, U.S.A. (2015). R. Jackiw, Liouville field theory: A two-dimensional model for gravity, MIT-CTP-1049 (1982) [INSPIRE]. M. Cvetič, Z.H. Saleem and A. Satz, Entanglement entropy of subtracted geometry black holes, JHEP 09 (2014) 041 [Erratum ibid. 09 (2015) 099] [arXiv:1407.0310] [INSPIRE]. R.M. Wald, Black hole entropy is the Noether charge, Phys. Rev. D 48 (1993) R3427 [gr-qc/9307038] [INSPIRE]. V. Iyer and R.M. Wald, Some properties of Noether charge and a proposal for dynamical black hole entropy, Phys. Rev. D 50 (1994) 846 [gr-qc/9403028] [INSPIRE]. J. Gegenberg, G. Kunstatter and D. Louis-Martinez, Observables for two-dimensional black holes, Phys. Rev. D 51 (1995) 1781 [gr-qc/9408015] [INSPIRE]. 1.Department of Physics and AstronomyUniversity of PennsylvaniaPhiladelphiaU.S.A.